GJP has secured Planning Permission for a 20 affordable dwelling development in Lampeter for Hacer Developments Ltd, after an appeal was allowed by the Planning Inspectorate on 2nd October 2018. GJP acted as the Planning Consultant for the original planning application which was presented to the Ceredigion County Council Planning Committee Meeting on 11th April 2018, with a recommendation from the Planning Officer and Site Inspection Panel for an approval. The application was refused by the Planning Committee and 6 reasons for refusal were attached, relating to the demolition of the school building, parking, density and affordable housing mix amongst others. GJP were successful in addressing all the reasons for refusal as part of the appeal and also won a full award of costs against the Council, as the Inspector determined there was a “lack of any evidence submitted by the respondent to substantiate the reasons given for refusal”. 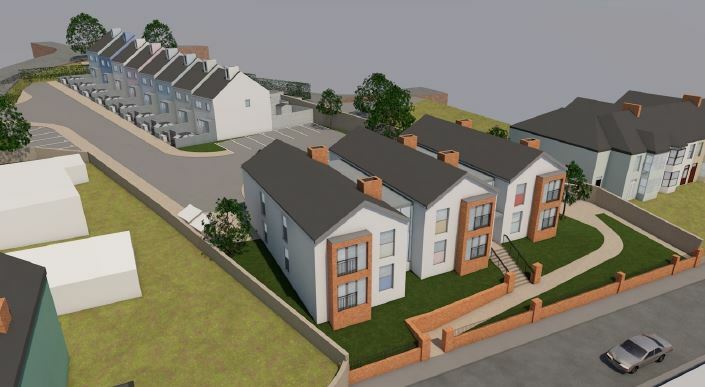 The proposed development will see the development of the top-ranked housing allocation within Lampeter and will provide a range of 1, 2 and 3 bedroom dwellings, contributing to addressing the identified shortfall in affordable housing in the local area.